So far this may have been one of the most rewarding projects to date. Trying to accurately capture my subject(s) in motion quickly taught me how to properly use shutter speed and gave me a better sense of understanding exposure when I am shooting; rather than the amateur aim-and-shoot tactic I have been employing thus far. I’ll admit the first few pictures I took were either horrendous or I found myself constantly searching for the right camera specs and then patiently waiting for another shot at my desired subject(s). However, as the day progressed I became significantly more comfortable and confident with my initial camera settings and naturally I was much happier with my later shot(s) compared to my photos from earlier in the day’s session. 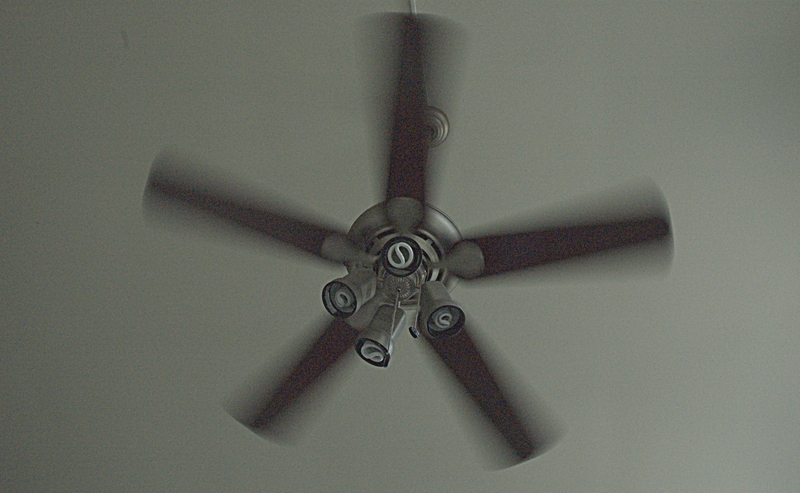 Without further ado, here a few of my favorite shots for this week’s theme – motion. 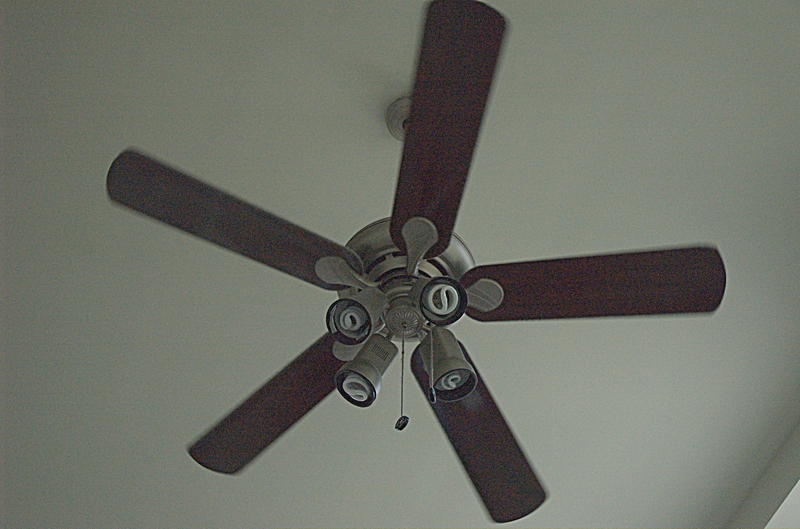 The Fan, shots as I called them were inspired while I was eating breakfast. 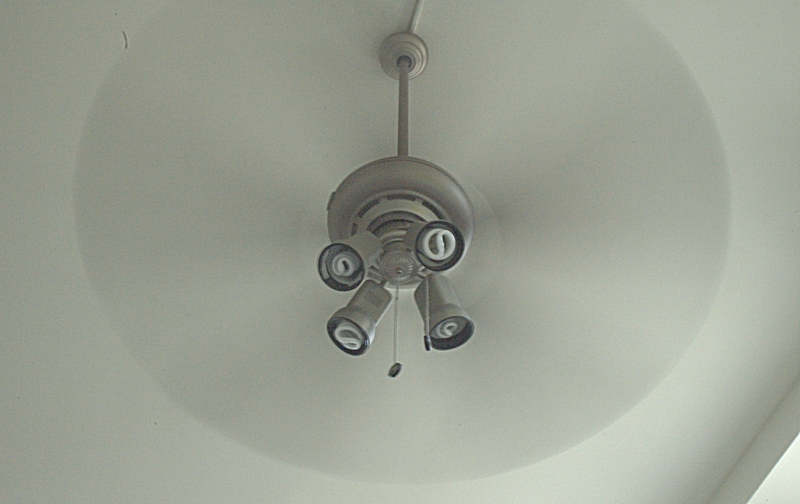 I casually looked up at my ceiling fan and thought, ‘Hmm, that wouldn’t be half bad to shoot.’ Ironically, as elementary as my ceiling fan may have been for this particular set it did help me get a better feel for the actual timing between shutter speeds in relation to a subject’s speed. Both of these shots were taken as I was waiting for the T-Train. 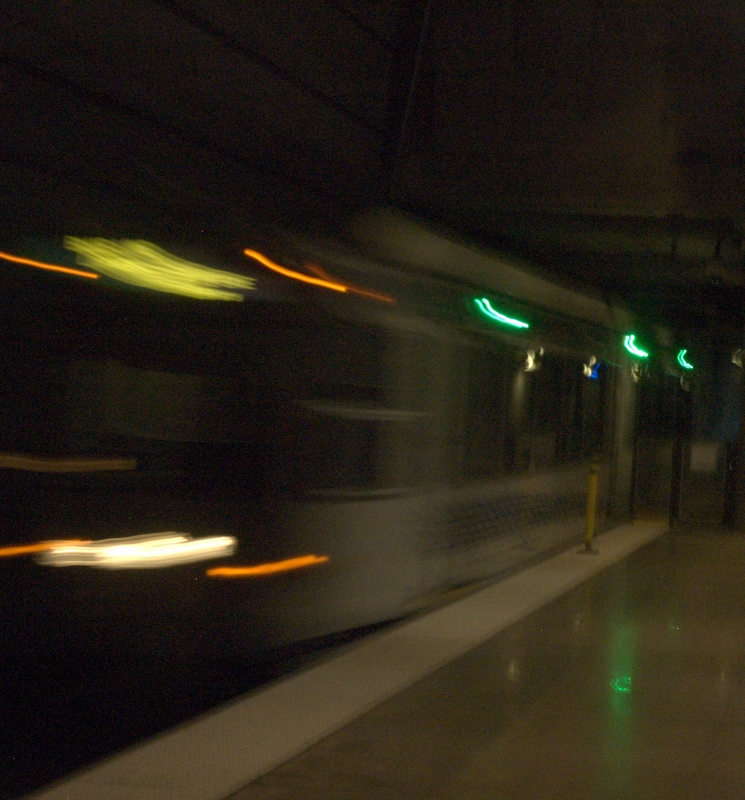 I personally have always found trains, particularly subway shots fascinating. I would’ve rather been able to capture some pedestrians and commuters within my shots, but unfortunately the Northside station was rather deserted on this afternoon. 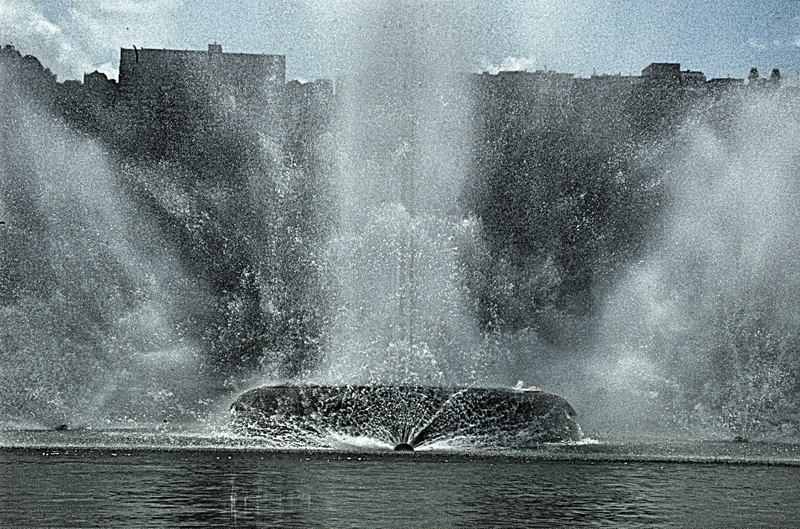 This shot, taken of the fountain at Point State Park, was one of the few daytime shots I walked away happy with. Even with that said, I had to edit some of the shadows and highlights out of the photo, to help compliment the actual subject. I wanted to capture the water pouring out of the photo, but with so much natural light at the point (especially midday) it was tough to do without overdoing it and forcing a whiteout in the my shot. In the end the 1/800 speed worked, but as I mentioned I still had to tinker with the picture a bit to get some of the over-exposure and highlights out. Likely should’ve thought of this shot last week for the Bokeh theme, but it still worked out. After I got the idea for this photograph I released I should’ve picked a slightly busier intersection to get more artificial light and crossovers of said light. 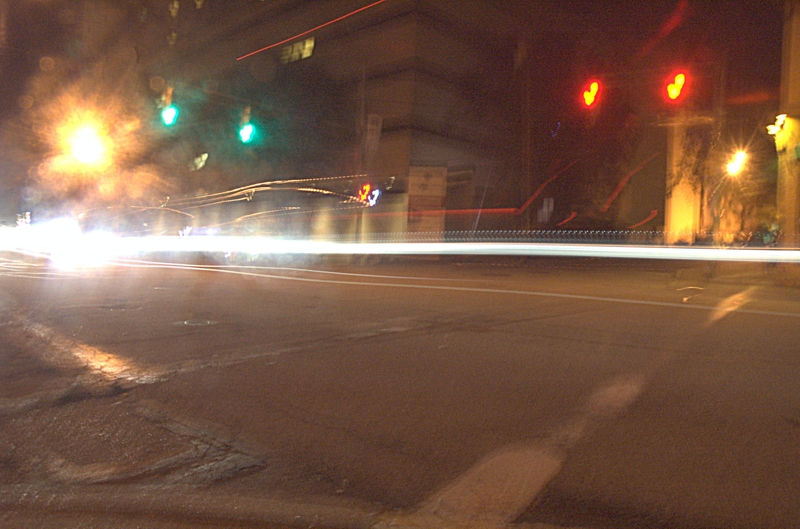 However, the two cars that shot through the intersection at my timing of the shot (a moving van and a sedan) came together nicely in a shot that reminded me of the DC comic book character, The Flash (thus the photograph name). I was very pleased with the finished shot here and I love that two vehicles managed to create one single ray of light through the photograph. 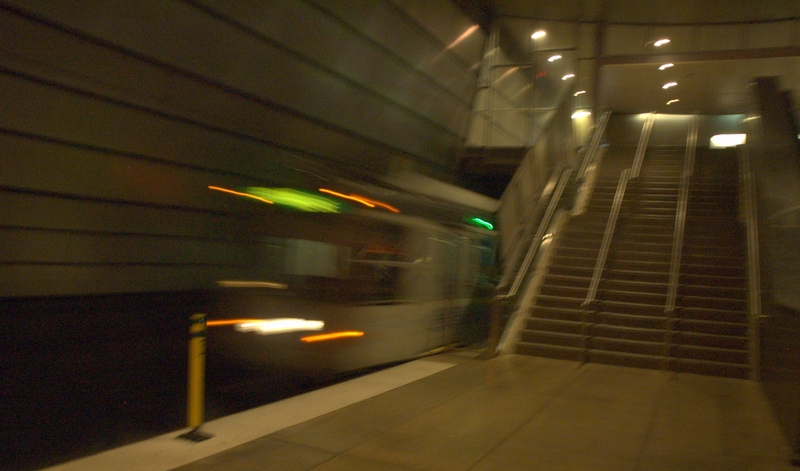 This entry was posted in Uncategorized and tagged Action Photographs, class, Motion Shots, Movement Shots, Pittsburgh, traffic, train photographs. Bookmark the permalink.